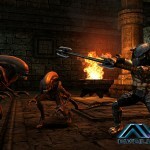 We get a look at the new AvP game. They should have stuck to movies. 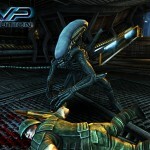 Fox Digital Entertainment has revealed a new trailer for the upcoming Aliens vs. 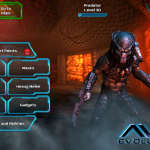 Predator: Evolution, heading to iOS and Android. 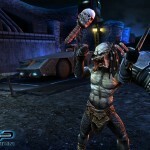 As a third person action game that allows you to play as either Xenomorph or Predator and level up by means of disemboweling your opponents? Meh. The trailer claims you’ll be able to work your way up from Facehugger levels to Xenomorph prowess, offering a Young Blood to Master Hunter route for the Predators. 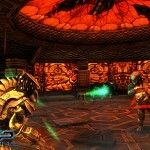 Now if only it looked a little better than your typical third person hack and slash. And those have more blood. 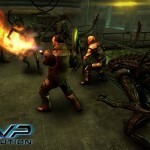 AvP: Evolution is due out in the first quarter of this year, and will follow the tale of the Super Predators who have enslaved the Xenomorph race for their own war against the Jungle Hunter Clan. How the humans factor into this is, as always, a mystery. 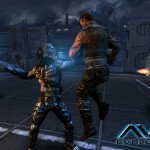 Hopefully it will be able to measure up to Gearbox Software’s Alien: Colonial Marines on release.